Belle Angel is an online graduate student in the Master’s of Professional Studies at LIM College. She resides in California while running her footwear company, KTYLER Beverly Hills. 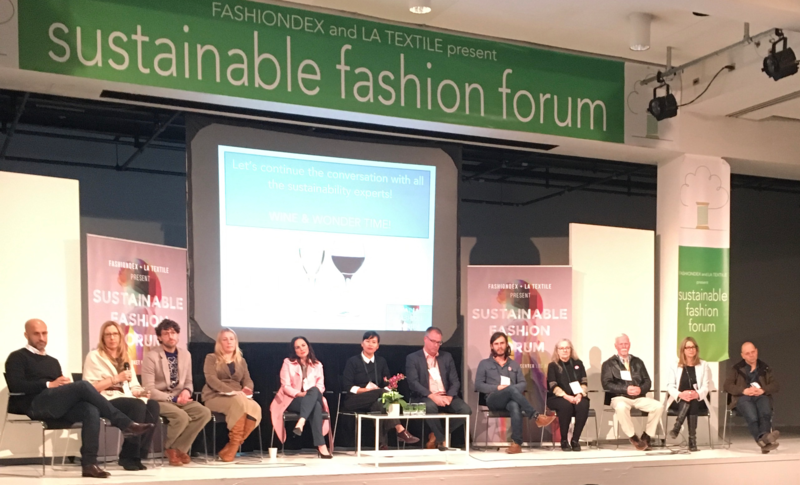 In her blog post, she describes the delight of attending the 2019 Sustainable Fashion Forum in her neighborhood, where she was able to meet with LIM faculty. When I was accepted to the online master’s program at LIM College, I wanted to make sure I was connected in the best ways possible as an online student residing out of state, so I immediately followed LIM College on Instagram and Twitter. Then in March, I was thrilled when I received a tweet announcing the Sustainable Fashion Forum in my own backyard, the Los Angeles Fashion Mart. The forum was focused on education and collaboration highlighting various topics surrounding “Digital and Technology based solutions” that can sustain the fashion industry. Fashion itself must always move forward in an environment that is ever changing. Speaker Roxy Star stated, “To be sustainable, we must use technology Artificial Intelligence for visual collaboration and connection in the fast lane.” Her company ADDLANE was developed to ADD multi LANE for Retailers with any file size to “secure space storing, sharing, editing, and messaging focused on images.” She explained, “Addlane is a mashup between Instagram, WhatsApp, and Dropbox for global and local teamwork.” As an emerging footwear designer, KTYLER Beverly Hills, I can sign up for a free trial to use the service. This was a perk just for attending the summit! I plan on taking advantage of this opportunity. 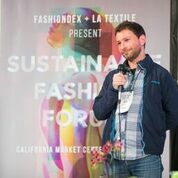 Speaker Alexander Katz from Patagonia also discussed fashion sustainability as it relates to corporate social responsibility. Some of the company’s initiatives in various divisions are: being certified as a B-Company (meeting the highest standards of verified social and environmental performance, public transparency, and legal accountability to balance profit and purpose); donating 1% every year to Earth Tax since 1985; and maintaining a supply chain that includes farmers, raw-material suppliers, and finished goods suppliers of cotton, wool, and hemp. Patagonia fosters a long-term partnership with factories and suppliers that share the same vision and values of a corporate social responsibility company. The vision for fair-trade certified products, regenerative organic certification, and animal welfare are equally important. The summit was very valuable. I was fortunate to meet in person Andrea Kennedy, who is the co-producer of the forum, CEO of Fashiondex.com, and an Assistant Professor at LIM College. I also met and discussed fashion business with Michael Londrigan, Professor and Vice President for Academic Affairs at LIM College. Now that I have attended the forum, I plan on incorporating many principles of corporate social responsibility into my vision to build my footwear company. This informative session resonated with my mission of eco-friendly KTYLER shoes and has influenced my decisions to look at sustainable materials in the future when I expand into handbags, apparel, and accessories. Photo Credit: The “Aubry” T-Straps Eco-Pumps by Belle Angel, founder and designer of KTYLER Beverly Hills and Alex Katz, speaker from Patagonia.